1907. The TE AROHA foundered off Whangarei Heads shortly after this photograph was taken. 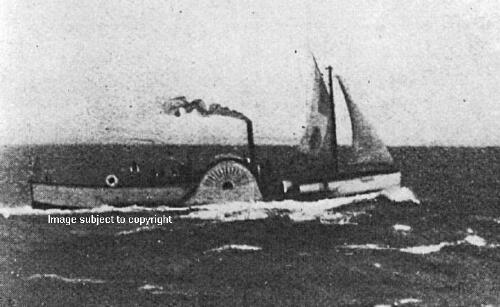 1877 sold to Auckland & North Shore Ferry Co. Ltd.
1907 April 1st, sprang a leak and foundered off Peach Cove near Whangarei. No lives were lost.